Hi friends.,Welcome AYISHA'S KITCHEN. 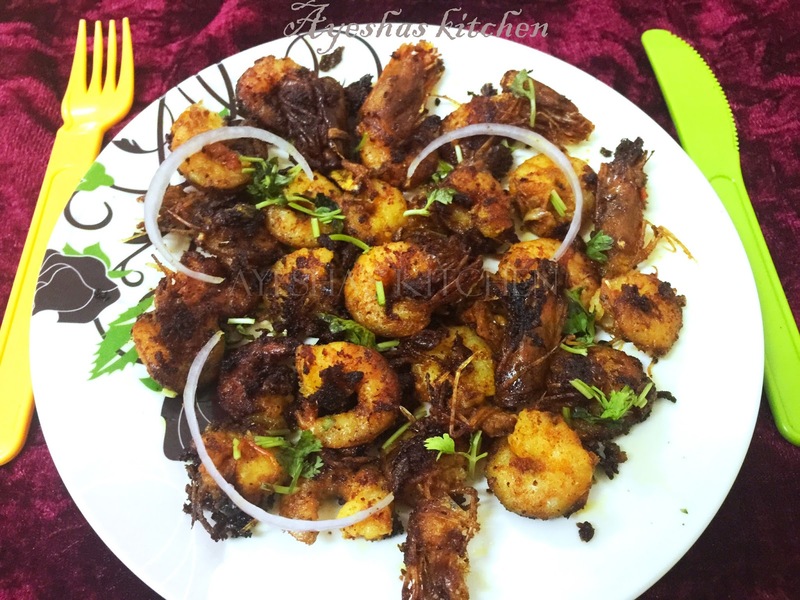 Prawn fry is considered to be the signature dish of Kerala. So lets see how to make spicy and flavorful prawn fry within minutes. Clean the prawns and drain the excess water. Crush the tomato with hand in a bowl and add chopped small onion, crushed garlic, chili powder, coriander powder, turmeric powder and salt. Crush all the masala together and marinate the prawns with the masala. Heat oil in a pan and when hot, put the marinated prawns along with curry leaves.